In this article, I will discuss the difference between plinth beam and tie beam. Before starting the difference, let me clear one important term which will help you further. The beam which is provided at the plinth level is called plinth beam. In framed structure plinth beam is the first beam constructed after foundation. 1. To distribute the load of walls over the foundation. 2. To connect all the columns. 3. To prevent cracks from the foundation to the wall. 4. To avoid differential settlement. The beam which connects two or more columns/rafters in a roof/ roof truss or in any height above floor level is called tie beam. Tie beams are mainly provided in roof truss and at plinth level. These beams do not convey any floor loads and only act as length breaker for columns where the floor height is unusually high. 1. To carry axial compression. 2. To transfer the rafter’s load to the column. 3. To prevent columns from buckling. Now coming to the difference between plinth beam and tie beam. Actually, there is no difference between them. Tie beam is also a type of plinth beam. When tie beam is provided at plinth level it is known as plinth beam. That means the only difference is the height at which they are provided. Plinth beam is only provided at plinth level but tie beam is provided anywhere above the plinth level and floor level. I hope you all now understood the difference. Also read – Difference Between main Bars & Distribution Bars. Thanks….its helpful for interview table. 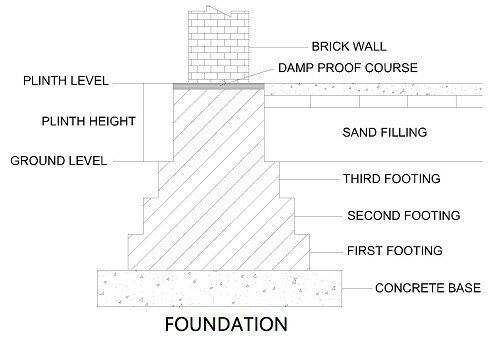 Is tie or plinth beam still necessary on raft foundation? This is educative. Thanks anyways. Helpful but I would have been better if you had provided sketches too, and explained through those sketches.